Several Jewish organizations criticized John McCain on Monday after the Republican candidate said he would prefer a Christian president over someone of a different faith. "To argue that America is a Christian nation, or that persons of a particular faith should by reason of their faith not seek high office, puts the very character of our country at stake," Jeffrey Sinensky, the group's general counsel, said Monday in a statement. A partisan organization, the National Jewish Democratic Council, also called McCain's comments repugnant. "It's almost Talmudic. We are a nation that was based on Judeo-Christian values. That means respect for all of human rights and dignity. 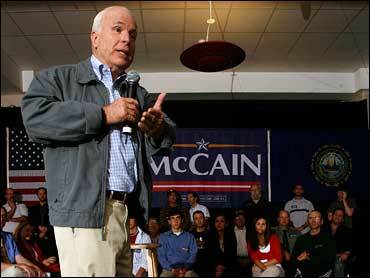 That's my principle values and ideas, and that's what I think motivated our founding fathers," McCain said.